I imagine that just about every e-smoker has experienced an e-cigarette leaking at one time or another. When this happens, it doesn’t just mean that you’ve lost some of your e-liquid — it might mean that you’ve stained your clothes or your handbag as well. I know this problem all too well; I fill my own cartomizers, and I never leave the house without a small e-cigarette in my pocket. More than once, that pocket had a little spot of e-liquid on it by the time I got home. So, what do you do about an e-cigarette leaking? I’ve picked up a few tricks that I think you might find helpful. Why Is My E-Cigarette Leaking? An e-cigarette atomizer or cartomizer is designed to hold a small amount of e-liquid in place and keep the e-cigarette going for several uses before it needs refilling. This might be a wick, a bit of polyfill or a hollow reservoir. If your e-cigarette is leaking, the short answer is that you’re attempting to put more e-liquid into your e-cigarette than it can actually hold — but on its own, that information may not be of much help. 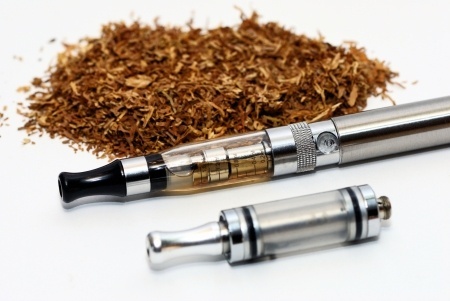 To solve an e-cigarette leaking problem permanently, you need to know why it is happening. The traditional e-cigarette cartomizer has a very simple design; a filler material is wrapped around a tube, and at the bottom of the tube is an opening with at least one heating coil. The heat from the coil pulls e-liquid out of the filler material, vaporizes it and sends the vapor up through the tube. If you’ve been using e-cigarettes for a while, you know that you can keep a cartomizer going for quite some time by occasionally adding a few drops of e-liquid to the filler material. When refilling a cartomizer this way, problems can happen when you add e-liquid so quickly that it can’t seep into the filler material. When this happens, e-liquid pools at the top and eventually travels down the center air tube — a direct path out through the bottom of the cartomizer. Overfilling a cartomizer can also cause this problem, which is especially common when the heating coil is dying. This brings me to the next common cause of e-cigarette leaking problems. Dripping e-liquid into an atomizer is a sure way to taste the pure flavor of your e-liquid with no compromise in vapor production. The problem with dripping, though, is that an atomizer has no filler material or reservoir to hold e-liquid in suspension; all it has is a wick. I’ve found that even experienced e-smokers tend to drip too much e-liquid into their atomizers when their heating coils are about to die. Because you aren’t getting the amount of vapor you expect, you naturally conclude that you haven’t used enough e-liquid. Before you know it, your e-cigarette is leaking and you’ve got e-liquid all over your hands. You may be able to clean your atomizer to prolong its life. For me, though, cleaned atomizers have never performed as well as new ones. I think it’s a far better practice to simply buy a new atomizer every 2-3 weeks. 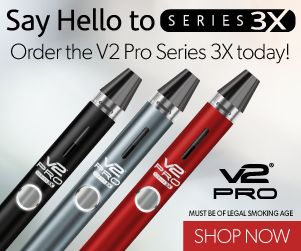 I know there are still a few of you out there using three-piece e-cigarettes with disposable cartridges. I understand the appeal; they’re incredibly inexpensive and they do work well the majority of the time. However, you might want to consider upgrading your battery if you haven’t already. Some companies selling three-part e-cigarettes may also be selling older automatic batteries with extremely high sensitivity levels. This type of battery can turn on and begin vaporizing e-liquid if you simply shake it — so you can imagine what might happen if you walk around with it in your pocket — something you should definitely avoid. Alternatively, switch to a manual battery that only works when you want it to — or ditch the three-part e-cigarette altogether. Read my article about the best e-cigarette for beginners to learn more about this.